Each towel measures 58x28". Choose from Star Wars, Marvel, Disney, Hello Kitty, and Monster High. Coupons expire June 26. Google Play takes 50% off any one movie rental, with prices starting at $1.49. The discount applies at checkout. 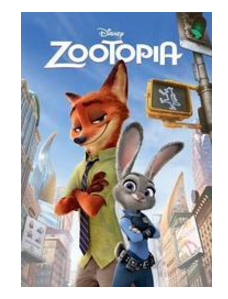 Eligible titles include Zootopia, Deadpool, and How To Be Single. Wow, love these clothes! Get a selection of Women's Tunic Tops and Leggings as low as $12.99 at Zulily. You can get the White Filigree Racerback Handkerchief Tunic, which drops from $77 to $12.99, a 83% savings, and these Black Fold-Over Zip Leggings, which drop from $45 to $14.99, a 67% savings. Shipping adds $5.95 and there's no sales tax! Right now Save Up to 50% Off Select Speedo Women's, Men's &amp; Kids Swimwear! I just ordered this Speedo Big Girls' Mesh Thin Strap One Piece Swimsuit for $22 (Retail $44). Amazon is offering Up to 40% off select outdoor gear from Klymit. 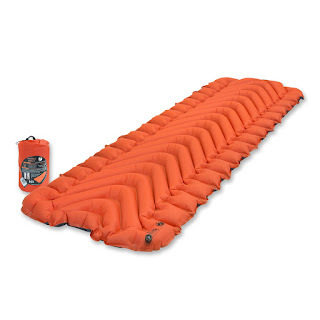 Which means you can get this *HIGHLY RATED* Klymit Insulated Static V Sleeping Pad for $45.99 (Retail $89.95). 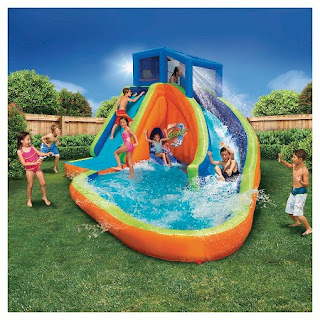 -Inflated Size: 72 x 23 x 2.5 Inches; Inflation: 10-15 breaths; Easy-to-use push valve allows for quick -inflation and deflation. I haven't seen these - but heck it beats the space the huge air mattress takes up in the tent or bonus room! I need this for my house! Right now get this iTouchless IT13MXP Extra-Wide Touchless Trashcan® 13 Gallon for only $59.99 (Retail $134.99)! 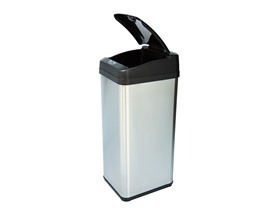 This 100% touch-free trash can creates a germ free, odor free, automated environment. It keeps your hands clean while you are cooking or playing with your children. It also helps prevent contamination, which reduces the threat of certain illnesses and infections. Because the trash can turns an ordinary chore into something fun, your kids will enjoy throwing the trash away for you. In addition, the Touchless Trashcan can outlast most step-on and hand-touch cans since if you don't touch it, you can't break it! 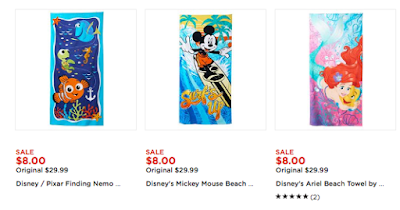 Target is offering a Deal Days of Summer with 20% off Pool Toys &amp; Sporting Goods with promo code PLAY at checkout. Save 5% and get Free Shipping at Target - Apply for a Target REDcard! Here is a great summer boredom buster! Hurry over because today only you can get this Kahootz Spirograph Super Set and Travel Bundle for only $17.99 (Retail $49.98)! 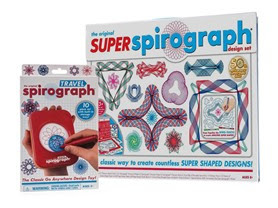 The Original Super Spirograph is back and better than ever! The classic interchangeable Spiro-Tracks let you create your own unique pattern shapes, taking your designs to a whole new and SUPER level. Unleash the thrill of spiraling design everywhere you go. Switch out disk after disk, create masterpiece after masterpiece - Then, once it's time to pack up and go, everything simply stows away inside the box with a snap!